It's official: SMS is for old people. New-world messaging surpasses old-school SMS says Informa. KEY MOBILE TRENDS: over-the-top services take over. EVENT HORIZON: minus one year. Smoke signals, telegraph, telegrams, telex, carbon paper, fax machines, electronic mail, SMS. WhatsApp, Viber, Skype, Kik, Facebook, Twitter, Instagram, in-game chats, Snapchat, more. Kids these days, they simply don't respect their parents ways. So... Informa is reporting that the number of messages sent using over-the-top chat services such as WhatsApp has now surpassed the number of SMS messages being sent. While this news comes as no surprise to anyone who has smartphone-toting kids, it is a shift that will have an impact on operators across the globe as revenue flows from fantastically profitable, low-priority information packets recede. Yes, subscribers have gotten hip to being connection agnostic. WiFi is in the air nearly everywhere, cellular is now the complement, and messaging is platform neutral. Another section of the wall is coming down. It's time to break on through to the other side. Liquidmetal. This new material could enabled Apple to be more beautiful with age. Liquidmetal is an interesting material developed by a company called Liquidmetal Technology. I won't pretend I understand the details, but the key to takeaway here is that Apple has a patent agreement with Liquidmetal meaning we could see this used in future Apple devices. Will it trend: Lifelogging? Will we soon all be wearing the equivalent of dash cams around our heads? KEY MOBILE TRENDS: wearable computing, lifelogging, ODLs, privacy. Robert Scoble's interesting take on Google Glass includes this key observation: "I will never live a day of my life from now on without it (or a competitor). It's that significant." So, are we really seeing a technology shift in front of our eyes which will change our lives forever? The next passenger jet? The next internet? A technology which will become so pervasive, so embedded, we will soon wonder how we ever lived without it? Another so-called paradigm shift for better, or for worse? Devices like Google Glass enable users to capture and store the most ordinary events of everyday life. And there are more where Glass came from. Memento, a Sweden-based start-up, is developing a miniscule wearable connected camera to help users seamlessly capture moment after moment. A day in the life of the user. The technology-enablers are no longer the issue. Components are getting small enough and cheap enough so that items like Glass could become just another household purchase. Another creature comfort for the 21st century. The real question about disruptions is rarely the technology, but rather, consumer acceptance. How will individuals and society's norms adjust to ubiquitous recording? And how will privacy laws react to a 24X7, capture-capable society? Will life-logging devices crash and burn, or lead us into the future? Let's take a look ahead. The ubiquitous Russian dash cam. Are we headed in this direction? 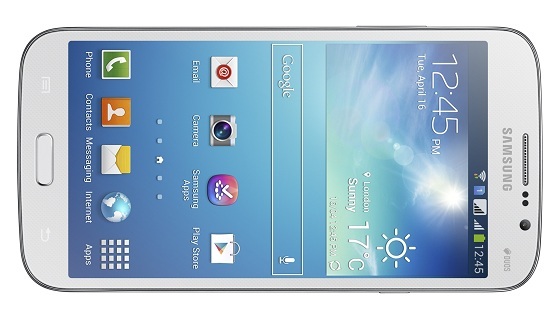 Dual-SIM Samsung Galaxy S 4. The trend now is dual-SIM flagships. This isn't another entry about the dual-SIM smartphone trend; this is another entry about the dual-SIM flagship smartphone trend. A big difference. No mainstream vendor has been on top of the dual-SIM trend like Samsung. 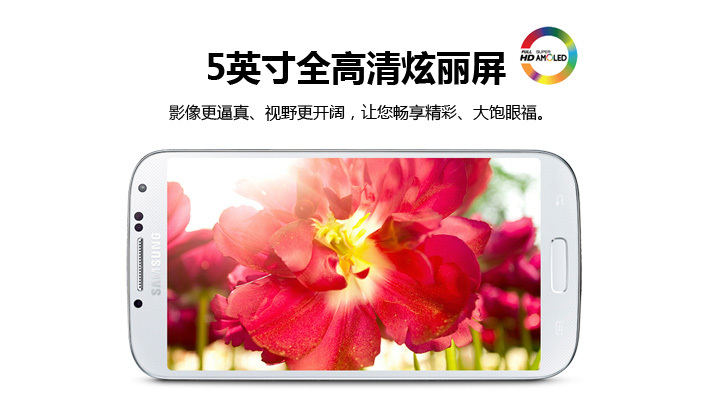 Here's the dual-SIM Galaxy S 4 for the Chinese market. When one just isn't enough. AT&T's Mobile-Home Connection. Operators look to secure revenue streams. KEY MOBILE TRENDS: mobile home, security, internet of things, internet of things, services. Back in the year 2000, I started working in the business development group of a unit of Nokia called Nokia Home Communications. There were lots of talented people working on stuff just like this, well ahead of their time. They had great vision, but the timing was off a bit. AT&T is looking to expand their services with home monitoring and security by outfitting homes with cameras and sensors and charging a monthly fee. Prices start at $30 per month with an installation fee of $150. As margins in handsets and tablets start to thin, it's a good time for device manufacturers to look into new hardware possibilities. And perhaps even getting directly in services. And for wireless operators who are dealing with penetration rates of 100% and declining ARPU, it's time to add some security to your future. A river runs through it. The display that's like electric Play-Doh. The world isn't flat. Perhaps our someday displays will reflect that. Samsung invests in BCI for tablets. Very thoughtful. 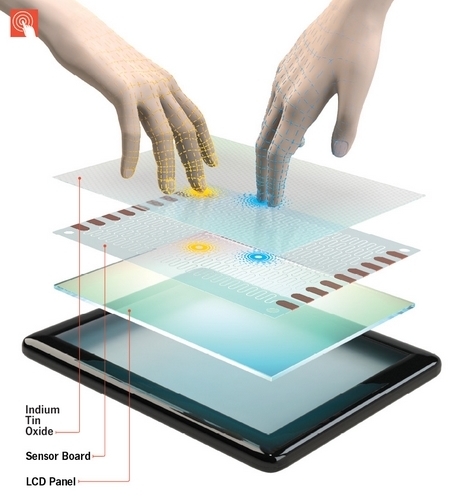 Samsung is collaborating with the University of Texas in Dallas to develop thought-controlled user interfaces for tablets. The more immediate goal is to help those with with mobility impairments, but long term, brainwaves could be yet another way to interact with devices. Most smartphone makers have been seriously looking into BCI for mobile devices for years, but I see that the race is on in earnest for some vendor to bring some WOW to the market with this. Nonetheless I expect one of the big-three game console vendors to break in the market to BCI within the next few years with a mainstream accessory. Auto manufacturers could be the Cinderella story however. Real-world objects and digital info work hand in hand. Interesting proof-of-concept demo from Fujitsu. Is MHL a mega trend? Mobile High-Definition Link becomes a mainstream feature in 2013 in phones, TVs, more. Make the connection. KEY MOBILE TRENDS: MHL, the mobile home, television, ecosystems, 1080p, MTK, screen-mirroring. Mobile device and alternative platform vendors: Is MHL on your device roadmap? No! Better get crackin'. I came across a story about a series of bargain 1080p television sets Walmart will begin selling under the brand "Hisense." For $378, you can buy a 40-inch 1080p LED smart television stuffed with features including a Mobile High-Definition Link connector. MHL has been around for several years already, and most high-end Android-based smartphones currently on the market support MHL. And I have noticed more higher-end audio and video equipment supporting MHL and even some newer in-car entertainment systems. But now as mainstream equipment on the receiving end is becoming MHL enabled, now is the time to ask if Mobile High-Definition Link has become a smartphone "hygiene" feature. Samsung announced two Mega smartphones the other day, the Galaxy Mega 5.8 and the Galaxy Mega 6.3. The latter is the hardware leader of the two, but neither is a killer device. But notable is the fact that the Mega 6.3 supports MHL, the 5.8 does not. So let's call MHL a semi-mega trend at this point. Asus, Huawei, HTC, Lenovo, LG, OPPO, Pantech, Samsung, Sharp, Sony, Xiaomi, ZTE, and several other Android vendors already support MHL on many of their higher-end smartphones. In February, MediaTek announced an MHL-enabled smartphone platform which can be expected to help drive the feature even lower and deeper into the market. And now that MHL is trickling down to many living-room black boxes, it could be time for all vendors to make the connection. Link up while you still can. Mid-level smartphones now make MHL connections to mid-level TVs. Key mobile trend of week 15 2013: Changes ahead in television broadcasting, the last wall to fall. KEY MOBILE TRENDS: TV, content, walled gardens, mobile home convergence. Yes, something big is going on in TV land. Lots of interesting television broadcast-related signals this past week, especially in the U.S.
First of all, hats off out of sincere respect for the most amazing run in the history of walled gardens. No, it's not over quite yet. The U.S. broadcasting industry still has some years left of protecting itself from real competition. But the writing is now on the walled garden. Big, fat cracks have developed. It's nice work if you can get it: do you want to subscribe to channel A? You're in luck, because today we're running a special in which you get channels A — G for an extra $30 per month. What?! You don't want B or C or those other crappy channels? You don't like sports? Or Cooking? Or the very classy "Jersey Shore?" Tough luck pal. What's this look like, a restaurant. You can't pick and choose what you want. But wait, what's this? You're going to Netflix? YouTube? Terrestrial? You're cutting the cord altogether. Hello? Hello? Are you there? Hello?! Yes, things are really changing now as a new generation of subscribers is getting wise and enabled to consume media in the 21st century way. There is a strong mobile connection here as networks will have to learn that content is content no matter what the screen. Content owners and operators will have to become more flexible in order to adapt to a more tech savvy audience. So, the Xbox might become the set-top box of the future? Interesting, but not amazing. A current-day Wii already runs Netflix and YouTube. An iPad can stream TV over cellular. A PC gets you much of CNN. According to Nielsen, there are now five million "Zero TV" households in the U.S. So around 4.5% of Americans rely on the internet via some means for their TV/video content. Here's a cable to the industry: the balance of power is shifting over the coming years. 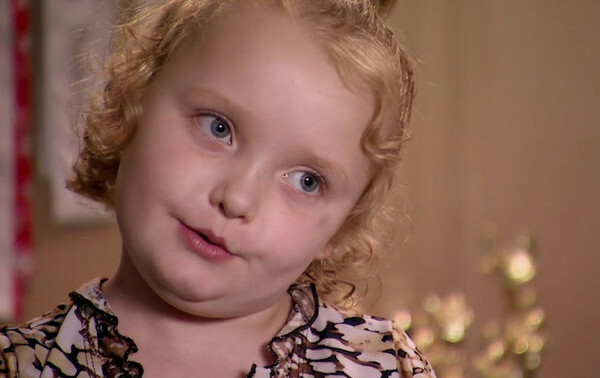 Honey Boo Boo, hold the phone. Will it trend? 5 is like so 5 minutes ago. Will ~6-inch smartphones trend with consumers? A smartphone with a 5.8-inch and 6.3-inch display. Why not? This isn't amazing news per se, as this Samsung device has been widely leaking and it's really just another phablet as we've seeing. And even though these are bigger than Samsung's 5.5-inch Note, Samsung is calling these "smartphones." The big question is: now that 5-inch displays are established as the flagship norm, is it already time to bring out the really big guns? It's in the hands of the consumers now. The next Nest? Honeywell's connected smart thermostat. How soon to the flexible form factor? Some flex signals from the past few days. KEY MOBILE TRENDS: form factors, flexible, materials, displays, follow the components. Back in the year 2000 I saw a really nice, super sharp color mobile display at an industry trade show. However, I didn't see any mainstream phone with a screen like that until around 2005. That's an example of the time gap from component demos to store-shelf ready implementation. Yes, companies that design components begin hocking their wares years before they will implemented in products. In fact, they start showing off working and non-working prototypes behind the curtains in deep non-disclosure agreement meetings. Ordinary folks like us don't get a peak until development work is nearly complete. And then it still takes years and years for real products to hit the streets. There are few surprises for industry insiders. Now we're getting to a point where flexibility is getting close. How close? From experience, I would say five years until some mainstream product hits a mall near you. The displays are getting there, the batteries, some of the guts. We could start to see modularity, with wrap-around displays here and there a bit sooner. There is hope: the most boring market in the world will become more flexible someday. For now, however, the world remains flat. Building Experiences with Glass. A 50-minute video on Glass app guidelines aimed at interested developers. The post-smartphone era could provide a fresh start for many industry players. Look at this as a potential opportunity. KEY MOBILE TRENDS: Post-smartphone era, Lifelogging, Augmented Reality, developers. Here's a video recommended for all app & service developers who might want to start thinking about the post-smartphone era of devices. I also recommend this for smartphone executives who need to keep on top of longer-term trends for threatening industry shifts. It's speculative, but it is a vision. The user experience is very different with HUDs and will take some new approaches from UI designers and developers. There are certainly some re-skilling required. PS: Please let's not start calling this a "technology disruption" five years down the road when we know all about it now. Shock and awe. Sony Xperia smartphones now double as an entry-level game console. VIDEO. KEY MOBILE TRENDS: mobile-home convergence, games. As a followup to my April 3 entry entitled "Game of Phones" in which I explore the possibility of the smartphone converging with the living-room game console, here we already have a signal of things moving exactly in that direction. For the past decade, Sony and Sony Ericsson talked about leveraging Sony's content library of movies, music, and games to give it a unique advantage in the mobile industry. It never really worked out that way. But here's an interesting new development: Sony has just released software enabling a wirless PlayStation DualShock controller to work with Sony Xperia smartphones. Hook up the handset to a television set and you have a near game console experience from a little phone. I'm just thinking out loud here for a second, but I'm starting to wonder what will become of Nintendo and its library of characters. Might Samsung or Apple be interested? It could make a nice Fit. GWIC 2013. Be there. And see Tiananmen Square. As I live and breathe. Biometrics gone wild. "Breathprints" & "pass-thoughts" could be your secure ID, someday. Get ready for biometrics to go mainstream in smartphones: fingerprint, facial, voice & retinal recognition, and perhaps someday breath & thought recognition. Pretty wild stuff. KEY MOBILE TRENDS: , biometrics, BCI, mobile security. The other day I came across a story about the potential of "breathprints." Now here's a story about wild biometic security: pass-thoughts. It's amazing thought: think your password and you're in. Researchers at Berkeley's School of Information are working on using off-the-shelf, consumer-grade EEG accessories (in this case Neurosky's MindSet) to think in your ID. The cost of EEG biosensors have come down to such a degree, they really can become a common, everyday sensor. So, when it comes to biometrics, you can't just put your finger on it. Smart glasses. 3 of 4 search giants could be in. Good vision or blind hype? Is this the start of the post-smartphone era? The future of search? KEY MOBILE TRENDS: smart glasses, post-smartphone era, wearables, AR, proactivity, lifelogging. Smart glasses: there's lots of noise now, but exactly where is the market opportunity? The search is on. Companies are throwing their chips on the table. There's Google, Baidu, Vuzix, Motorola Solutions, and Sony. I have also heard talk of advanced heads-up display accessories coming from adjacent industry players, so expect a headset computing flood during the next four years. In fact, now Microsoft is rumored to be developing a product in this category as well. Clearly there are those who see market potential. It's interesting to note that the world's largest search service providers —Baidu, Google, and possibly Microsoft— are entering the un-market for such devices. Despite the fact that prospects are entirely speculative, the greater risk for these players is being absent early and then very late to market: search of the future could be very contextual and augmented right in front of your eyes. The great unknown is not the technology or pricing, but rather it is consumer acceptance of the the product category. While interest in Google Glass appears sincere among developers and the "innovator" consumer class, mainstream adoption could face a long line of hurdles. The concept is not entirely untested. 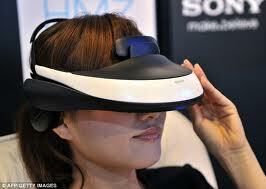 Head-mounted displays or near-to-eye displays have been around for more than a decade. I've tried several of these headsets at industry trade shows over the years and have found the experience rather bizarre, like watching a move through a child's View-Master. But studies have shown that users of NEDs did enjoy the experience and were positively surprised by the display quality. But if you are wondering why you don't see many people wearing NEDs on your morning train, check out the picture at the bottom of this post. Yes, there is the social stigma of looking like a Star Trek character, but in addition to the fashion police, consumers will have other concerns. For example, the police police, the potential adverse health effects, and privacy worries. But for smartphone vendors, the worry could be that the post-smartphone era is in sight. Devices like Glass could combine the latest in miniaturized computing with the freshest business-model thinking. We could begin to see local search and other contextual services become an integral part of devices. So, smartphone vendors, don't look away: the day might come when it's time to get in your customer's face. Twelephone. Remember when every webpage wasn't a real-time communications node? Check out this WebRTC-based CallMe Widget from a firm called Twelephone. There could be some interesting business models popping up around such services. Traditional carriers: the ball is in your court now. Apps for Cadillacs. 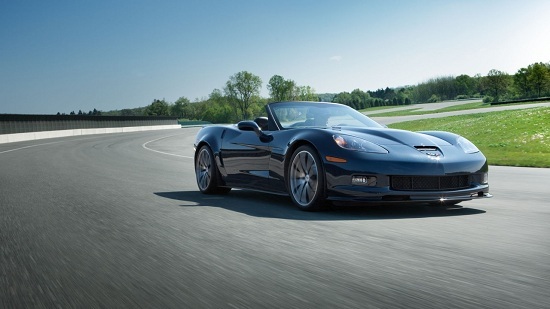 Developers, here's a chance to test your motor skills: in-car app store opportunities. KEY TRENDS: auto domain, developers, ecosystems. Developers, are you looking to create the latest killer app (metaphorically speaking of course)? Your next big opportunity could be sitting in your driveway. Talk about mobile computing. Cars these days are essentially a bunch of moving parts wrapped around a computer. Automakers are stuffing CPUs, memory, storage, touchscreens, and connectivity into the heart of the modern car. And now you can download tools including SDKs and iPad-based emulators to build auto-centric in-car applications . And as part of the expanding auto ecosystem, car manufacturers are opening app stores to provide a destination for developers to sell and for car owners to buy innovative programs. The APIs will give developers hooks into on-device sensors providing data such as tire pressure, engine temperature, speed, and weather. This will allow developers to think beyond the smartphone box, finding ways to optimize the auto experience for the driver, perhaps by devising ways to minimize gas consumption or tire wear. Actual application pricing and business models will vary. Engine of growth? 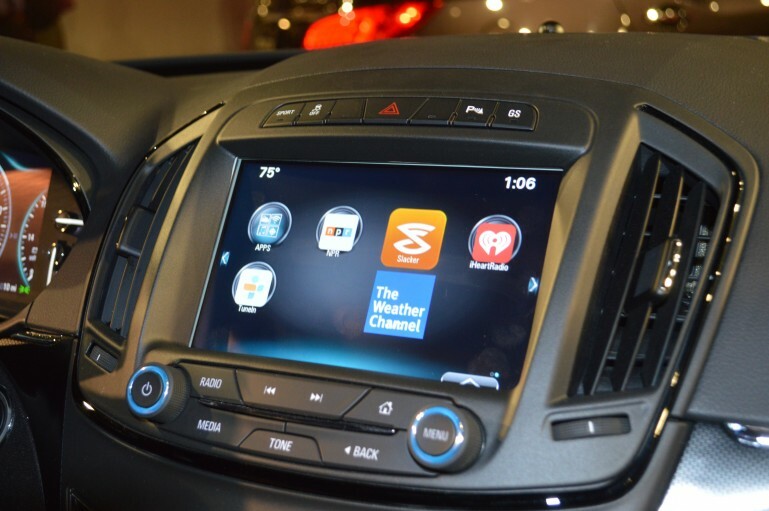 Mobile apps: the market for in-car apps could develop fast. KEY MOBILE TRENDS: mobile home convergence, internet of things. Smartphones as television remote controls, smartphones soon to be as powerful as game consoles, Samsung Experience stores in 1,400 BestBuys where they have the potential to show off smartphone-connected washing machines, more rumors of an Apple television (which I can't say I understand). To remain competitive, smartphone vendors and platforms must find their spot in the home. Setting presence status with the mind. Rejection has never been easier: just think about it. It's not always nice to think about rejection. But here's something that can make it much easier. It's all in your head. Here's an EEG headset that picks up on the wearer's mental state and sets a smartphone presence status accordingly. So, for example, if you are busy in thought, it will intercept phone calls. While BCI has been solidly inching forward, it's still years away from mainstream for mobile interfaces. I do expect some game console maker, perhaps Nintendo, to introduce a mainstream EEG accessory quite soon. It usually takes something like that to break in the market. So, smartphone and platform vendors: how big is your BCI unit? Home. Improvement? AT&T allows Facebook's identity to be the key to services via Home. And they're not alone. Is this an official OTT victory? "Yes. OK, we're a dumb bit pipe. Are you happy now?" KEY MOBILE TRENDS: over-the-top content, walled gardens, identity. Yesterday Facebook unveiled their "Home" app for Android. Rather than a stand-alone mobile platform as some expected, Home turned out to be a UI layer which runs on top of existing Android builds. Home is essentially a deeply embedded social phonebook, allowing Facebook to become the absolute experience center of the device. While much of the product news had been leaked, there was one significant surprise during the presentation: the inclusion of AT&T's president & CEO, Ralph de la Vega. And this certainly highlights a most notable development: wireless operators are acknowledging over-the-top services as never before. For me, this is a great opportunity to take a step back and realize how much things have changed during the past decade. 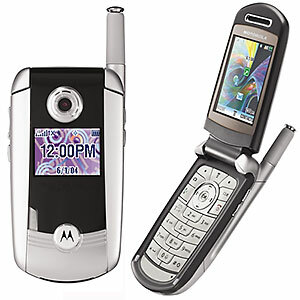 I immediately thought of the story of Motorola's V710, an unremarkable clamshell introduced in the year 2004 for Verizon. While a key feature of the phone was to be Bluetooth, Verizon required Motorola to disable much of the Bluetooth stack. Verizon claimed this was for security reasons, but many in the industry suspected it was to help secure the operator's bottom line as content on the device such as photos and phone book had to be synched over Verizon's network at significant cost to the subscriber. The notion that an operator would take a backseat to Facebook or Skype is not unprecedented. In 2008, operator 3 in the U.K. introduced the INQ1, what some called the Facebook phone or Skype phone as such OTT services were highly integrated into the device. But 3 was not a leading operator in the U.K. They needed a fresh approach to gain some young subscribers in a saturated market. But AT&T is not a 3. It's not a T-Mobile USA looking to shake things up. AT&T has 107 million subscribers in the U.S. For AT&T to risk its identity is a bold move. Despite the on-stage group hugs, my spider sense was picking up a touch of unease in the chemistry. For AT&T there might be no going back. AT&T executives once said they envisioned the day when everybody in the U.S. would get a unique, operator-issued phone number at birth as their key identifier. Forget the tax number. Who would have pictured operator execs taking a step to the side to make room for other services to take the lead? There was one feature noticeably absent during Mark Zuckerberg's presentation: voice. VoIP and video chat were apparently persona non grata at the show. Voice remains an operator safe zone for now, but could be the next to fall. 20 years ago many wireless service providers didn't even allow handset vendors to have their brand on the phone. There was to be no middleman between the operator and subscriber to complicate the relationship. Facebook's Home highlights the extreme makeover of the industry. The identity crisis is coming to a close. Motorola's V710: Verizon wanted Bluetooth disabled. Could they do that today? Tongue in cheek of the week: Are you waiting for the next hot thing to come along? Remember, mobile opportunities come in unexpected shapes and sizes. Mobile business development is a waiting game: a delicate balancing act in which timing is critical. Rarely do disruptions occur according to schedule, but when opportunity does come along, hop aboard and hold on tightly as you may be in for quite a ride. The handset business is all about change; there's no time to clown around. Why wearable computing? "Because people are starting to get a little bit bored with the smartphone." "Now is the right time for wearables..."
It's funny: we know more about what some vague acquaintances had for lunch last week than we do about our own bodies. Hopefully we are in for a change very soon. So, smartphone vendors, if these people are right, it's time to understand a new generation of product opportunities. Please get ready to get it on! Samsung's Sweet Sixteen Ambitions. Samsung aims to ship 500 million handsets during 2013. That's 16 phones every second of the year. Question of the day: Are Samsung's economies of scale becoming insurmountable to other vendors? Already back in 2009, Samsung started chatting about becoming the world's largest handset vendor. Given Nokia's dominant position in the market at the time, it was easy to dismiss Samsung's talk as being slightly delusional. I know I did. Back in 2008 Nokia reached a long-term goal of its own by claiming 40% share of the global handset market. For the full year 2008, Nokia shipped almost 470 million units. It was an amazing number and many within the company liked to talk about the amount of devices shipped per day (almost 1.3 million) and even per second (~15). It really was a logistical achievement. So now Samsung is talking about shipping 500 million handsets during 2013 which would be a 25% increase from its 2012 volumes. This is in addition to its tablets and Windows & Chrome laptops. Half a billion units per year would amount to almost 16 units per every second of the year. 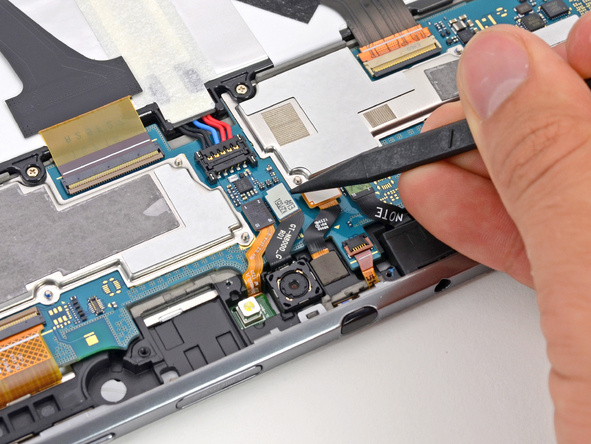 Most handsets have more than 100 components, some much more. But to be conservative, let's say that each handset is built with 120 components, from box to battery. This would require management of 1,900 components per second. How many companies could manage this? No other handset vendor that I can think of enjoys the same level of vertical integration that Samsung does. Nonetheless, many components in each handset are sourced. Given its massive volumes, Samsung's leverage with suppliers --including platform vendors-- is reaching omnipotent levels allowing it to push deep and bargain hard. Samsung's influence and economies of scale are reaching levels that few companies in any hard industry have ever enjoyed. Samsung has established itself as the power player in the handset industry. But as we've learned, power can fade quickly in this business. So, do other vendors have a second chance? Can other vendors chip away at Samsung's powerful logistical advantages? One with two? A flagship dual-SIM? Might HTC put two SIM slots into a Chinese version of the One? More than 50 countries have mobile penetration rates greater than 100%. Yes,there are many tariff arbitragers in markets across the globe. Dual-SIM feature phones are old hat, agreed. And dual-SIM Android smartphones have been around for a few years, but mostly at the low end. But if this HTC leak is legit and not counterfeit, might we see more dual-SIM smartphones at the high-end? Here's something that might be a dual-SIM HTC One for the Chinese market supporting WCDMA and GSM, but no 4G of any type. There do appear to be two micro-SIM slots. Given the fact that the features are so different from HTC's One as it was recently introduced, this may be something quite different. Most major and many minor Android vendors have introduced dual-SIM smartphones at this point. I lack the stats to report how well any of those are selling, but I do remember that some Samsung "duos" feature phone models did sell very well in some Eastern European countries a number of years back. All vendors should monitor the potential. Game of Phones. The smartphone converges with the game console? There's Steam behind such a scenario. And soon the graphics power too says NVIDIA. Nintendo, Sony, Microsoft, EA, Nokia, Samsung, Apple: here's a SWOT exercise for you to do. Picture the game console becoming another victim of the smartphone black hole event horizon: an industry that gets sucked in and merges with the smartphone singularity. There is no chance of escape, so go with the flow. For most types of family gaming, the pieces are coming together for this scenario. There's the computing power in the latest flagships. There's the living-room connectivity such as Mobile High-Definition Link to support full high def video and 7.1s sound output. There are the software players such as Valve which is enabling Steam on mobile platforms. 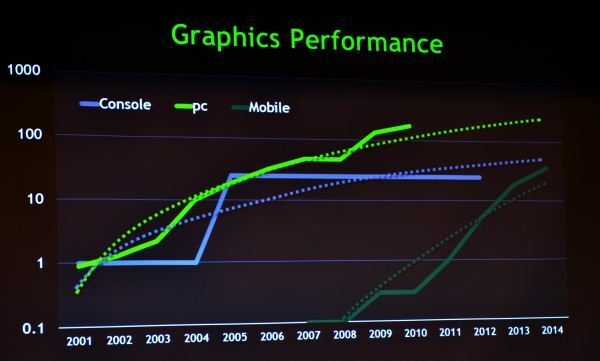 And, now, according to NVIDIA, mobile graphics power will soon outperform the current generation of game consoles, namely PS3 and Xbox 360. For the smartphone players, it's time to think about the opportunities for developers and app stores in this scenario. The opportunities for accessories and co-branding. And the partnerships to bring it all home. Power, up. Mobile graphics power grows at an amazing pace. 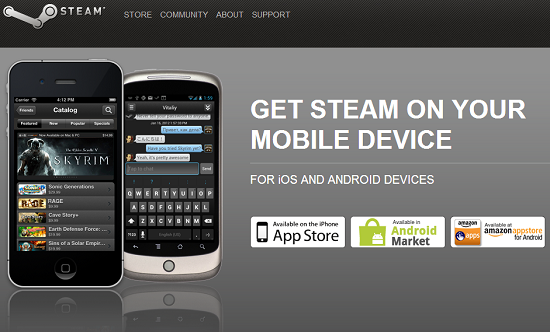 Mobile Steam. For Valve, mobile doesn't fall on deaf ears. Sensors are enabling the era of [Web 2.0]2.0: The next generation of user-generated content will be embedded deep inside ecosystems. Get ready. [Web 2.0]2.0: get ready to spot a new generation of business opportunities in sensor-generated data. Wikis, blogs, microblogs, video blogs, social networking, iReporting, more. Web 2.0 has been about the fantastic enablement of consumers to move beyond simple content consumption to personal content creation. Now, thanks to a new class of gadgets and services being rolled out, user-generated content is being taken a step further with the auto collection, storage, and on-going analysis of personal-metric information. Web 2.0 is reaching its own second generation. I'll call it [Web 2.0]2.0. Last month I speculated that a potential wearable device from Apple such as a watch would be more about the collection of data than the display of information. Such conjecture is not without supporting evidence. Three years ago, Apple hired a leading expert in wearable computing technologies, Richard DeVaul, who co-founded a company called AWare Technologies which was developing fitness-related products. Mr. DeVaul has described himself as “an expert in signal processing and real-time statistical classification techniques.” While at MIT, Mr. DeVaul researched the implementation of sensors in wearable devices and the potential use of the collected data to predict and guide behavior. So, given Apple's active interest in the area together with patents filed, the surprise would be if nothing like an iWatch hits the market soon. Some fantastic fortunes have been around Web 2.0 services during the past decade. Facebook, Twitter, YouTube, Instagram, and Flickr are some obvious examples which have led to the creation of unbelievable wealth and changed user behavior. So, we should not be surprised to see a new gold rush in mining the next level of consumer data as device makers, app developers, and web service providers introduce business models to leverage this detailed layer of personal information. None of this is happening out of the blue. Sensor-based data is already used by Foursquare, Endomondo, Polar, Flickr, and Google's Latitude to add contextual and ambient information to content and to track behavior over time. But the number of sensors and thus the amount of detailed data will be growing at near exponential rates during the coming decade if consumers show the interest. One thing I have learned during my career is that consumers are always the biggest unknown variable in any market equation. But if the potential players can demonstrate to their audience that sophisticated analytics can really qualify this personal data, then demand and usage will follow. But who owns the data and analytical results? As hardware becomes more commoditized over the coming years, consumer data such as health and well-being information will become an increasingly important part of the mobile value chain and provide an opportunity for increased stickiness or complete lock-in. As I postulated in early March, Apple's wearable-computing strategy could be about reinforcing its existing walled-garden approach with such highly personalized and extremely valuable data collected from a series of devices over a period of years. Advanced APIs are being developed for iOS and other platforms to leverage the value of auto-generated, sensor-based data to provide the user "observations of daily living." Expect mobile ecosystems to adjust and evolve rapidly to enable sophisticated ODLs and proactive recommendations for behavior modification. Open standards are being developed to support the interoperability of personal health records, but it's said that one of the best things about standards is that there are so many to choose from. Enabling consumers to easily port fitness data from one ecosystem to another might not be in the interest of some leading industry players which would prefer to develop their own data formats or back their own proposed standards. Openness does have some momentum behind it at this early stage. 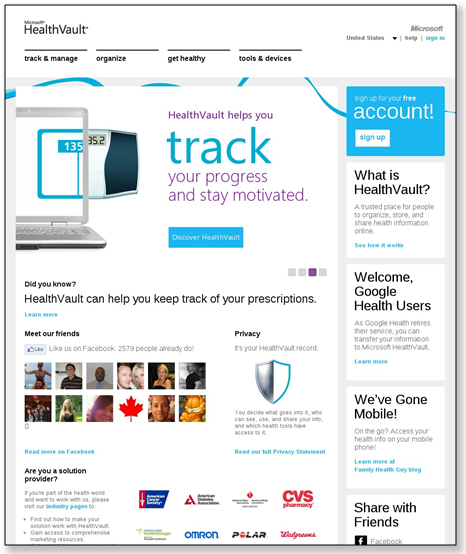 Microsoft's HealthVault, for example, supports a variety of standards-defined healthcare record formats, and many devices currently on the market such as Fitbit Trackers, Withings Wi-Fi Scale, Polar watches, and many mobile apps already work with HealthVault and other free record-storage services using standards-defined record formats. As consumer-generated content gets switched to autopilot, [Web 2.0]2.0 will provide industry players a second chance to get in on a new ground floor. Opportunities like this come along every decade or so and usually require a series of flops before that one big hit sparks something real. And when that killer device does arrive, you can expect a plethora of life-tracking products and partnerships to hit the headlines as the mad scramble begins. At the moment we are still in a state of sensor fusion confusion. Consumer desires and monetization are the unknowns. But I'm certain that some vendor will soon come along and lead by example with real clarity and purpose to this data. It's time to get a move on. Microsoft's HealthVault: like money in the bank? Health and well-being records could become a valuable currency if the analytics are done right. Biometric touch. Disney Research Labs develop a screen which recognizes one user from another by touch. First, I must confess I wasn't aware that Disney had a research lab which develops such things as advanced biometric touch-based technologies. But they do. And then again, it's not difficult to envision some Disney-specific use cases for unique-user interfaces. This research project, which Disney calls "Touché," could enable touch-based devices to recognize one user from another simply via the touch of the finger. The technique works by sending "harmless electrical currents" through the user's body, and then identifying the echo via the level of resistance by the body. The fact that Disney is developing such a technology means that we might see something like this at their theme parks or perhaps in kid-centric tablets for home and for school. But it's not difficult to envision this technique being used as an additional layer of biometric security in smartphones, ATM's, and point-of-sale terminals. I don't want to sound goofy here, but this Disney project could enhance user interactions and simplify our lives. It could turn out to be a touch of magic.